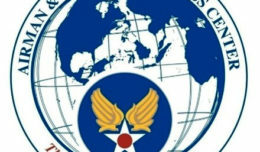 Luke Air Force Base in Arizona welcomed its new wing commander June 20, as Brig. 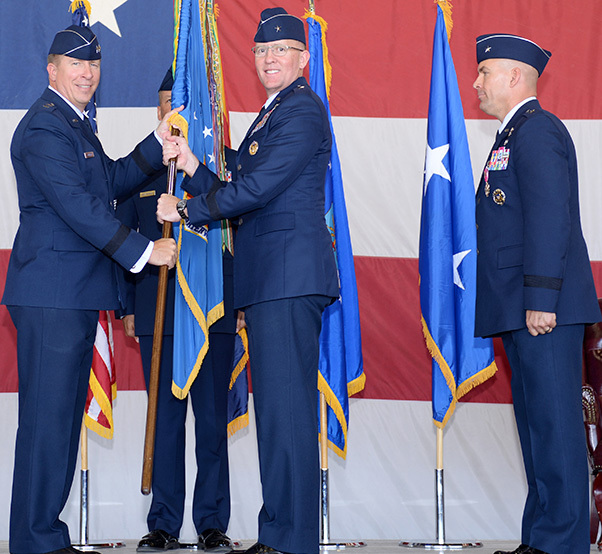 Gen. Todd Canterbury assumed command of the 56th Fighter Wing from Brig. Gen. Brook Leonard. Canterbury, a command pilot with more than 4,100 flying hours, including 650 combat hours, comes to Luke from the Pentagon, where he served as Director of the F-35 Integration Office. 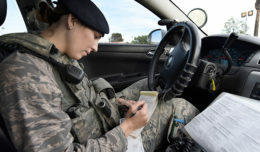 Canterbury entered the Air Force in May 1993 as a graduate of Arizona State University ROTC. This will be his second tour as a wing commander, having previously commanded the 33rd Fighter Wing at Eglin Air Force Base, Fla., from 2013 through 2015. The ceremony was officiated by Maj. Gen. Patrick Doherty, commander of 19th Air Force at Joint Base San Antonio-Randolph, Texas, who shared both Leonard’s many accomplishments, and Canterbury’s special heritage at Luke. Canterbury’s father, retired Maj. Gen. Henry Canterbury, was the commander of Tactical Air Command’s 832nd Air Division at Luke from 1982 to 1984. Brig. Gen. Todd Canterbury, 56th Fighter Wing commander, salutes his new wing for the first time moments after assuming command June 20, 2018, at Luke Air Force Base, Ariz. Canterbury most recently served as the Director of the F-35 Integration Office at Headquarters Air Force. Doherty praised Leonard for his leadership during his tenure as commander, and presented him with a Legion of Merit. Under Leonard’s command, the wing developed integrated maintainer teams, put a focus on leader development, and dedicated time and support to the creation of the Human Performance Team. In 2017, the 56th Fighter Wing won the Air Education and Training Command Weapons Excellence Award and Outstanding Unit Award, followed by the Gen. Larry O. Spencer Innovation Award and Gen. Mark A. Welsh III One Air Force Award in 2018. Maj. Gen. Patrick Doherty, 19th Air Force commander, hands the guidon to Brig. 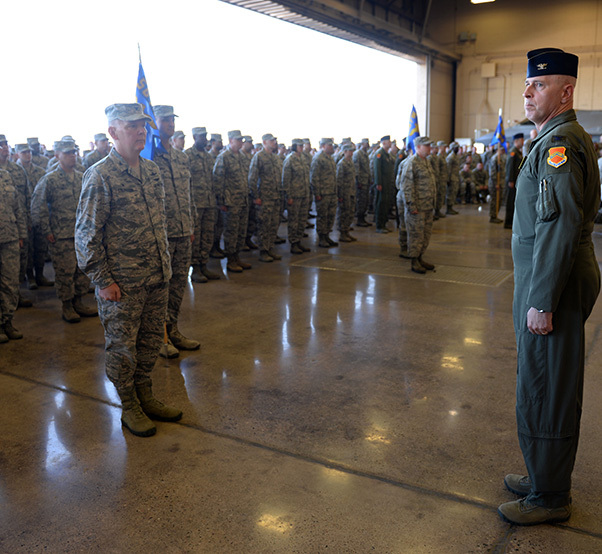 Gen. Todd Canterbury during the 56th Fighter Wing Change of Command ceremony June 20, 2018, at Luke Air Force Base., Ariz. Canterbury assumed command from Brig. Gen. Brook Leonard, who will move on to be become the deputy commanding general of the Air Combined Joint Forces Component Command in Iraq. Leonard will go on to serve as the deputy commanding general of the Air Combined Joint Forces Component Command in Iraq. As the change of command concluded, Canterbury reinforced his priorities and vision for the future at Luke. 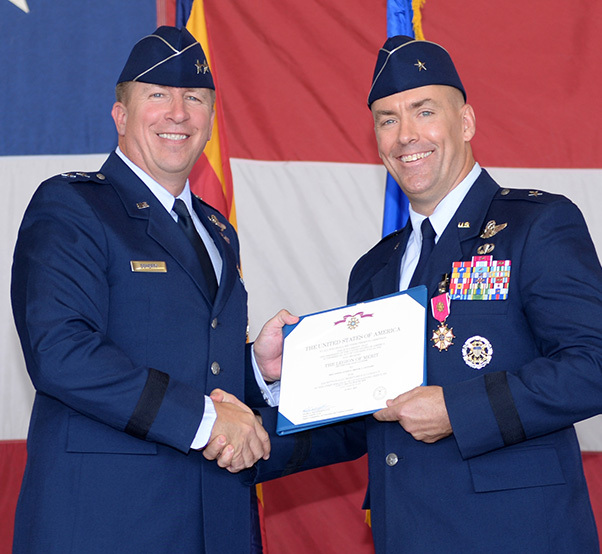 Maj. Gen. Patrick Doherty, 19th Air Force commander, awards Brig. Gen. Brook Leonard, 56th Fighter Wing outgoing commander, the Legion of Merit for his accomplishments as commander June 20, 2018, at Luke Air Force Base, Ariz. Leonard will move on to become the deputy commanding general of the Air Combined Joint Forces Component Command in Iraq. Col. Michael Richardson, 56th Fighter Wing vice commander, prepares Airmen for the wing change of command ceremony June 20, 2018, at Luke Air Force Base, Ariz. The ceremony welcomed Brig. Gen. Todd Canterbury and bid farewell to Brig. Gen. Brook Leonard. 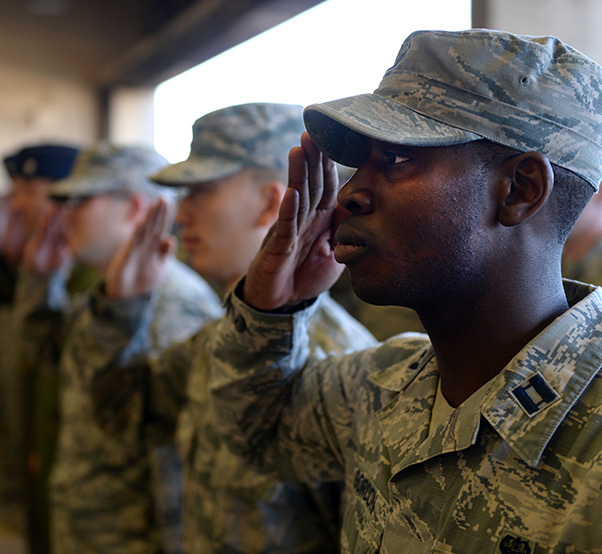 Airmen from the 56th Fighter Wing salute their new commander, Brig. 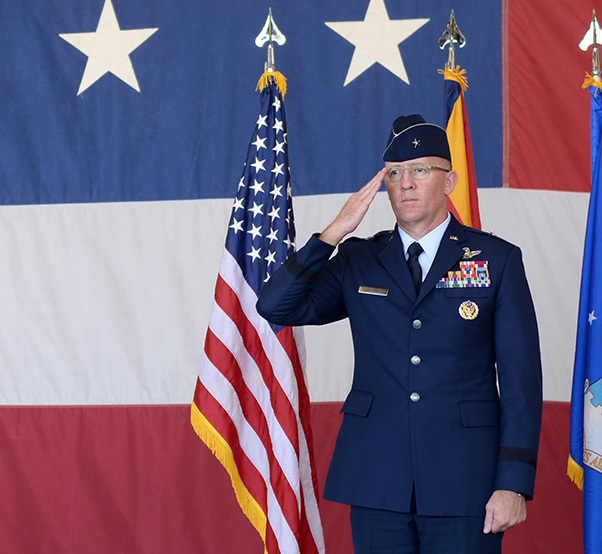 Gen. Todd Canterbury, during the wing change of command ceremony June 20, 2018, at Luke Air Force Base, Ariz. The ceremony honored the incoming commander and gave thanks to the outgoing one, Brig. Gen. Brook Leonard, who will move on to be become the deputy commanding general of the Air Combined Joint Forces Component Command in Iraq.